The flow in the tank is designed to keep your jellies away from the water outlets and the filtration system will maintain the water quality at optimal levels for your jellies to thrive. The filtration is neatly hidden in the outer ring of the aquarium. The water first passes through a sponge particle filter where any uneaten food or detritus is removed. The water then passes over highly porous, ceramic bio media where bacteria break down any remaining unwanted chemicals in the water. 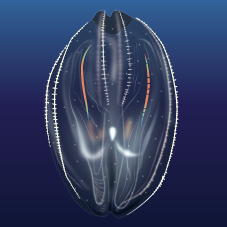 The Orbit 20 jellyfish aquarium comes with connections allowing the use of external equipment. This means a chiller or in-line heater can be added for temperature control or an external filter can be added giving more options when making changes to the tanks water parameters. The acrylic rings on the front and back of the tank are acrylic and held in place by magnets. This allows them to be swapped for different colours so that your Orbit 20 can be customised to fit in with your homes décor. Rings are sold separately through Cubic Aquarium Systems stockists. The Orbit 20 is the smallest tank in our range and due to its size it is important to choose the right type of jellyfish. The growth of a jellyfish depends on how much they are fed, jellyfish will actually shrink if they are not getting enough nutrition and start to grow again as soon as they are receiving enough food. 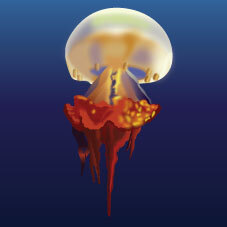 The slideshow suggests some jellyfish types which can be kept in the Orbit 20. Miss Saltwater tanks has a popular Youtube channel and Facebook page where she reviews aquarium equipment and talks about various other aquarium related issues. In the first video Miss Saltwater tank describes the features of the Orbit 20 jellyfish aquarium. 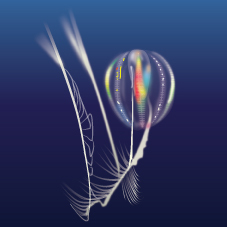 The second video shows some newly added moon jellies.